Opening today as part of the inaugural Melbourne Design Week, a new exhibition curated by Dale Hardiman and Tom Skeehan’s joint venture Friends and Associates interrogates the true value of original design and craftsmanship in a marketplace saturated (and enervated) by cheap replicas and alternatives. Titled 26 Original Fakes, Skeehan and Hardiman tasked 24 other contemporary Australian designers with the challenge of reconfiguring an existing replica of an iconic Australian design – Jasper Morrison’s HAL chair – as a means of questioning the real work consequences of the burgeoning replica furniture market in Australia, a space that thrives through infringing designers’ intellectual property and threatens the livelihoods of Australia’s nascent design community. 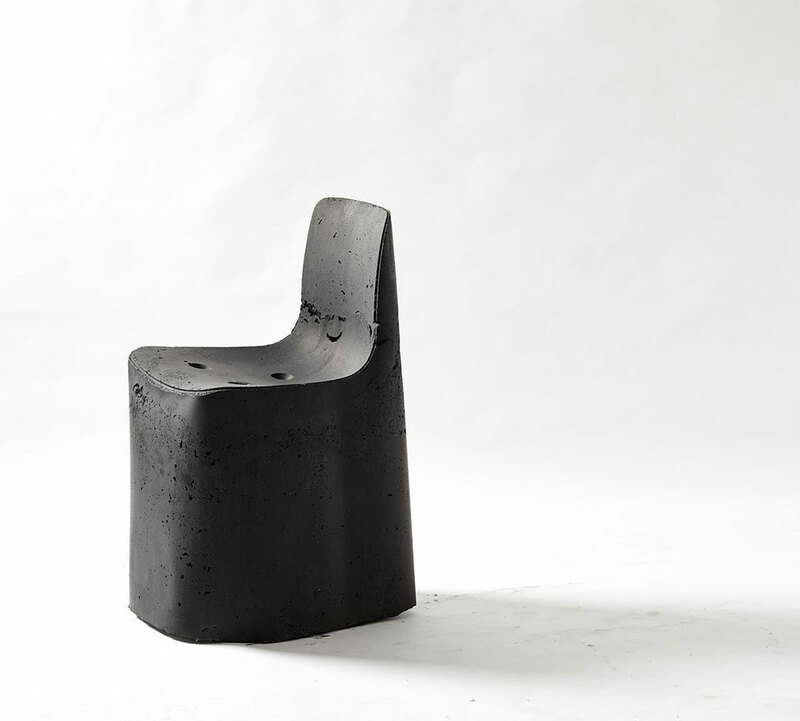 Contributors include Emma Elizabeth, Adam Goodrum, Natalie Turnbull and Tom Fereday, whose ‘Shell’ chair (pictured above) takes the form of a solid concrete cast that makes material the negative space left by Morrison’s HAL chair. According to Friends and Associates, the original HAL Wood Chair was designed by Morrison in 2010 but is now available as a replica sold at varying price points from more than 10 companies in Australia. Through crafting his piece, the designer has said it was his intention “to highlight what you are left with when purchasing replica design. “Disregarding the manufacturer, the collaboration, and the design development, the replica piece leaves you with nothing but a shadow of the iconic form”, says Fereday. 26 Original Fakes will exhibit at Watchmaker, a special pop-up venue in Smith St, Collingwood, for the duration of Melbourne Design Week, which runs until Sunday March 26 and is themed around the idea of ‘Design Values’, how we value design and vice versa. You can find out more information here.